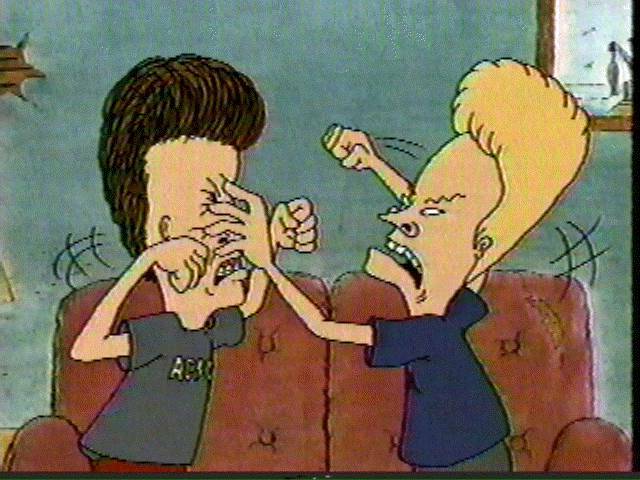 Dumb and Dumber just went at it and screwed theirsevles with the stupidity. An East Hampton man is being held on $40,000 bond and $20,500 cash after he was arrested on charges he menacing his roommate with a metal pipe and was growing marijuana at his house. On Aug. 3 at 12:10 p.m., town police were called to Alejandro Fernandez’s house on Tub Oarsman Road by the alleged victim who said he been in fight with Fernandez. The man accused Fernandez of punching him in the face and chasing him around the backyard with the pipe. Fernandez, who is 30, had left the house by the time police arrived. Police asked the roommate to point out where the incident took place and was brought onto a large deck overlooking the backyard. 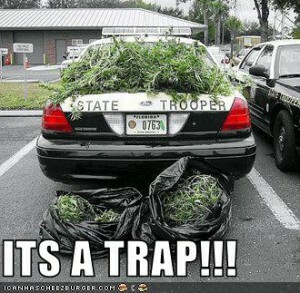 The “officer noticed several orange pots with cannabis plants growing in them along the side fence,” a report said. Meanwhile, Fernandez returned to the house and as another police officer went over to his pick-up truck and reportedly saw marijuana branches next to a pile of top soil in the back of the truck. He was charged with third-degree criminal possession of a weapon with a previous conviction, a felony, second-degree menacing with a weapon, a misdemeanor, unlawfully growing cannabis under the Public Health Law, a misdemeanor, and second-degree harassment, a violation. Following an arraignment in East Hampton Town Justice Court, Fernandez was turned over to the Suffolk County sheriff’s office in lieu of bail. Back in the days before America got Reefer Madness, the good old U.S.A. was a worldwide center of hemp production. Verdant fields of the incredibly useful fiber crop were cultivated all over the country. Once cannabis was outlawed in 1937 due to Harry J. Anslinger’s scare campaign against marijuana, the economic incentive to cultivate hemp was gone. After a brief return in the “Hemp For Victory” days of World War II — when the Japanese takeover of our fiber source, the Philippines, made it necessary to once again provide our own rope — hemp faded into American history as a crop of bygone days. But that didn’t mean it was any less useful, it just meant it was no longer politically acceptable. 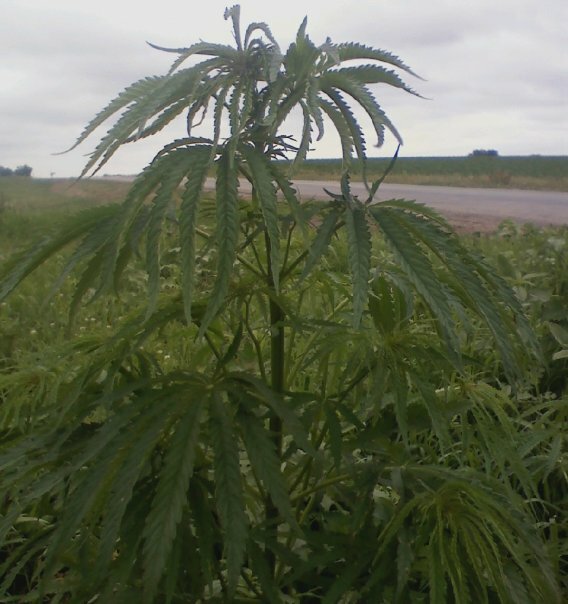 And it also didn’t mean that hemp would no longer grow in Nebraska (and throughout much of the Midwest), it just meant it was no longer actively cultivated. Formed in 1998, Guerilla Union began as a concert promotion company, but it has since evolved into much more. The company is the driving force behind such massive hip-hop events as Spring Gathering, Rock the Bells, Paid Dues and Cypress Hill’s Smokeout. Guerilla Union has also ventured into the world of fashion, technology, media, independent art and medicinal marijuana advocacy, proving that hard work combined with a DIY grassroots ethic can lead to success in multiple arenas, Guerilla Union founder Chang Weisberg recently spoke with CULTURE about the lineup for the 8th annual Rock the Bells, his passion for hip-hop music in a live setting, his promotion work and his latest take on marijuana. 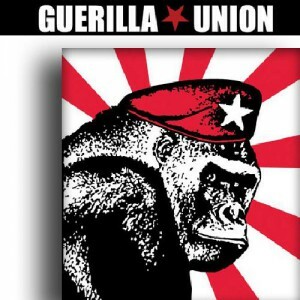 Tell readers the origins of Guerilla Union. Well, at first it was all about concert promoting. I’ve been doing it with a lot of cool people for many years. It involved putting together concerts featuring all kinds of music, and we also dealt with clothing and merchandise. In ’98, we formed [Guerilla Union]; and subsequently it was the same year that we started the Cypress Hill Smokeout festival. Now we are involved in tons; from the Dragon Fest to Paid Dues—an independent hip-hop festival—and, of course, Rock the Bells, which is huge. It took a lot of hard work, but it’s definitely paid off. We’re just happy to be one of the most recognized promoters in the U.S, with the magnitude of work we do . . . But we just took what Lollapalooza was doing to the next level and kept it going. I love what Perry Farrell did, and I look up to him. We are fortunate to work with such great artists like Cypress Hill and Snoop Dogg and many more. Tell us about this year’s Rock the Bells. Can you give us the scoop on any surprise guests? Well this year we have another amazing show. I think there are 10 records being performed in their entirety, which is always cool. I’m looking forward to all of them really; Nas doing Illmatic and Lauren Hill performing the Miseducation album; Cypress Hill’s Black Sunday. And in particular, I’m looking forward to seeing Mobb Deep play The Infamous and Souls of Mischief play 93 ’Til Infinity.Those are a little more obscure, but that’s just my opinion. 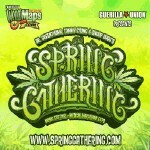 Tell readers about the recent Spring Gathering Music Festival and Medical Marijuana Expo in San Bernardino. Did you encounter any problems with law enforcement? It was different in that people with doctor’s notes could legally use marijuana at the show . . . There were no incidents at the concert. This type thing would not have happened two years ago. I heard that you have a NorCal medical marijuana and music event planned for the future. Can you tell us more? We are currently making the plans to hold two events in the next 12 months up north. The first one will be in the Bay Area this fall. It’s not solidified yet, but its well on its way. This is something we’re very excited about as well; and Northern California is so much further ahead with the acceptance of medical marijuana and use in general, so we’re going to set our sights high. San Francisco officials want to keep a record of all suppliers of medical marijuana dispensaries, an idea that has some members of the pot community fuming. “If there is a list, it’s available to the public, and it’s available to the feds,” said Kevin Reed, a member of The City’s Medical Cannabis Task Force and owner of the Green Cross, a medical cannabis delivery service. Reed said most members of cannabis collectives and cooperatives grow small amounts of pot in their homes, warning that a city record of their names and addresses could be accessible by anyone — including federal law enforcement officials or criminals who rob grow operations. Despite statements by the Obama administration that it would not go after medical marijuana dispensaries that comply with state laws, cannabis supporters say such raids have continued, and Reed remained wary about a public record of growers. Public health officials would only answer questions about this proposal in writing, and a spokeswoman did not respond to a question about whether the list would be publicly available. The statement noted that the department, which issues permits for medical cannabis dispensaries, is tasked with ensuring that the cannabis such dispensaries cultivate and distribute is in compliance with state and local laws. There currently are 26 permitted dispensaries in The City, and nine more have applied for permits. Dr. Rajiv Bhatia, the director of environmental health, said such dispensaries get their products from “diverse sources” and that the department needs to ensure those sources are legal. California law requires that marijuana distributed by medical cannabis collectives or co-operatives be cultivated only by their members, and not for profit. “Over the past few years, there has been a proliferation of cultivation in many San Francisco neighborhoods,” Bhatia said. Some of these sites violate city planning and building codes, and create fire or hazardous materials dangers, according to his statement. The idea is apparently just in its formative stages, however, and no decision has been made. “DPH historically has always been very good at protecting safe access, and balancing that with public safety,” Tucker said. “Obviously, as a community, we have concerns about that information becoming public. ​The San Francisco Department of Public Health, which licenses and polices the city’s 26 storefront medical marijuana dispensaries, announced on Friday that it will ask every dispensary to provide a list — with names and addresses — of every grower with which it does business. The result would be a disaster for the city’s burgeoning medical marijuana industry, according to Kevin Reed, president of the Green Cross medicinal cannabis delivery service, reports Chris Roberts at the S.F. Weekly. The list of grower names and addresses is needed, claimed Rajiv Bhatia, head of DPH’s Occupational & Environmental Health, for safety and legality reasons. Administration doesn’t exactly make turning over a list of names and addresses seem like the best idea ever. According to Reed, the list would push legal operators underground while doing nothing to change the habits of illegal cultivators. And if the list were publicly available, it could be used as a “shopping list” by rip-off artists, thieves, and, of course, the federal Drug Enforcement Administration (DEA), since the feds still consider cannabis illegal, even for medicinal purposes, regardless of state laws. “There’s no way anyone on the city or state level can provide us protection from the federal government,” Reed said. Theories regarding why the S.F. 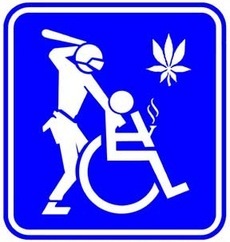 Health Department is suddenly concerned about whether dispensaries comply with state and local law — more than a decade after the City By The Bay passed its Medicinal Cannabis Dispensary Act — include taxes, police, and in industry takeover, reports Roberts at the Weekly. Reed said he believes the DPH wants a list of all the city’s legal growers so that it can eventually tax them. But the city also wants addresses of grow sites located outside San Francisco. Some growers believe the DPH is being strong-armed by the S.F. Police Department. And then there are the conspiracy theorists who say the stricter regulations would make it easier for a few mega-operators to take over the medical marijuana industry. “I understand DPH’s frustration of being thrust into the middle of this confusing and contradictory system, but there is way too much risk to force full transparency in cultivation,” said Brendan Hallinan, an attorney handling permitting for medical marijuana dispensaries. “After the federal government specifically told Oakland ‘no way’ on their permitted-cultivation sites, it is ridiculous to ask SF MCDs to go right ahead and do the same thing,” Hallinan said. How To: Roll an Inside Out Joint!